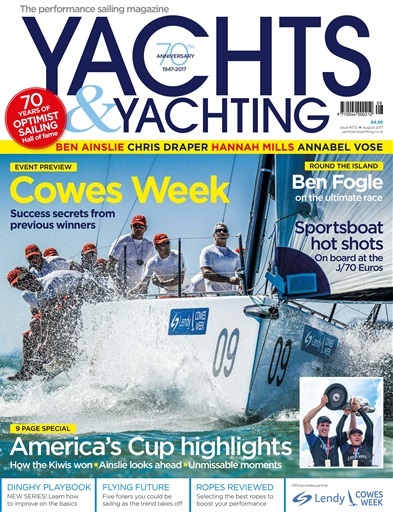 (1 Customer Reviews) | Write Review 12 issues per year Yachts & Yachting is the leading sail racing magazine for dinghy and keelboat racers – essential reading for anyone who is serious about the sport of sailing. Since 1947 it has been famed for its excellent coverage of all aspects of racing, from local dinghy and keelboat events to the heights of the Olympic Games, America’s Cup and Volvo Ocean Race. As well as the top end events, each issue is full of vital information, including technique and tips from some of the best coaches in the sport, interviews and profiles, kit and equipment guides, and tests of the latest boats. 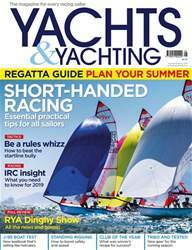 There is no better way to improve your sailing than with Yachts & Yachting magazine. Looking for Yachts & Yachting in print? Unfortunately pocketmags.com does not sell print copies of Yachts & Yachting, but all is not lost. Our partner at magazine.co.uk sells print subscriptions at the best prices online. 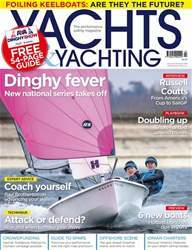 Yachts & Yachting is the leading sail racing magazine for dinghy and keelboat racers – essential reading for anyone who is serious about the sport of sailing. 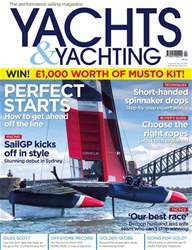 You'll receive 12 issues during a 1 year Yachts & Yachting magazine subscription. 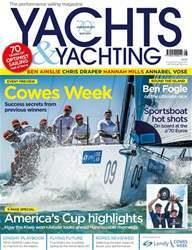 Love sailing, you'll love this mag. You'll receive 12 issues during a 1 year Yachts & Yachting magazine print subscription.